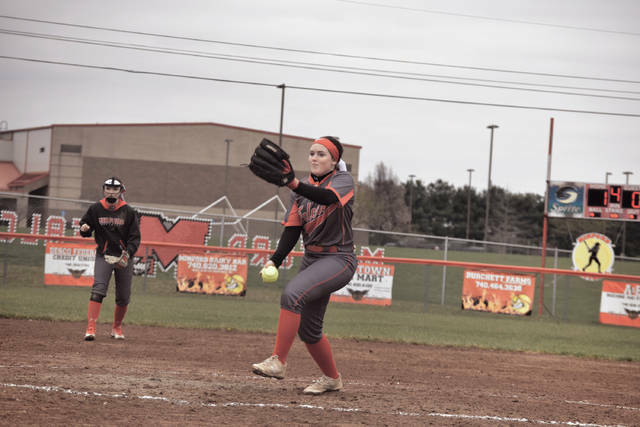 Minford’s Zoe Doll departs the Falcons as one of the most successful student-athletes in school history from a leadership standpoint, as her 111 victories in softball and basketball alone suggest. Notre Dame’s Cassie Schaefer will enter her junior season as one of the most promising pitchers in the Tri-State Area. Valley’s Faith Brown not only threw in every game, but threw in every pitch of every game while also collecting a batting average that exceeded .450 for the Lady Indians. Over the course of the decade, the game of softball, the talent that has taken part in the sport itself, and the success that has come from the sport, has risen to a high that hasn’t been approached before. That continued to be evident in the latest edition of the 2018 OHSFSCA All-State units as six players from five different schools, including Wheelersburg’s Boo Sturgill, Clay’s Shaelyn Vassar, Valley’s Faith Brown, Notre Dame’s Cassie Schaefer, Minford’s Zoe Doll, and Clay’s Julia Swain, all obtained All-State accolades in either Division III or Division IV, with Sturgill, who just finished her freshman season of eligibility, earning first team marks in Division III and Vassar and Brown obtaining the same accolades in Division IV. Sturgill, who starred from the three-hole in the batting order all season long and was a mainstay as the Lady Pirates’ shortstop, finished with an astonishing nine home runs in her first season of varsity action — including a home run apiece in her first two affairs as a varsity high school athlete against Piketon and Northwest and four home runs over her first four high school contests. The 5-1 sophomore-to-be was one of three Lady Pirates to obtain First-Team All-SOC accolades, joining leadoff hitter and center fielder Christen Risner, along with fellow freshman classmate and middle infielder Laney Eller on the first team list. Despite having to replace seven of its nine starters from its Division III State Runner-Up unit the year prior, Wheelersburg ultimately won its first 24 games — going 14-0 in SOC II conference play — en route to its fifth consecutive Division III District Championship, a regional berth, and a No. 2 ranking in the OHSFSCA Division III State Poll before falling to Lore City Buckeye Trail in the Division III, Region 11 Semifinals. Doll, who was one of only two seniors on the 12-player roster in 2018, overcame injury to obtain First-Team All-SOC and Honorable Mention All-State accolades. The senior, who signed with Defiance College in March, starred in Minford’s lineup as a three-hole hitter and was the ace pitcher of the staff. Doll, a three-sport athlete (volleyball, basketball, softball) was a part of teams who won 111 games in her final three seasons of varsity action in basketball and softball alone, including 16 victories this past season. Vassar, who was the team’s leadoff hitter before being moved to the three-spot in the lineup over the latter portion of the 2018 campaign, was a consistent presence at third base and finished with a batting average that exceeded .500 for the second year in a row. The senior-to-be was one of three Lady Panthers to obtain First-Team All-SOC marks, which included pitchers Julia Swain and Hannah Oliver, and in her own outstanding campaign, collected a team-best .514 average with six triples, 18 stolen bases, 45 runs scored, and most impressively of all, a 30-game hitting streak for Clay, who went 24-6 overall in 2018, won its third consecutive SOC II Championship (13-1), and obtained a No. 8 ranking in the OHSFSCA Division IV State Poll before falling to Strasburg-Franklin by a 5-4 tally in 15 innings in the Division IV, Region 15 Semifinals. 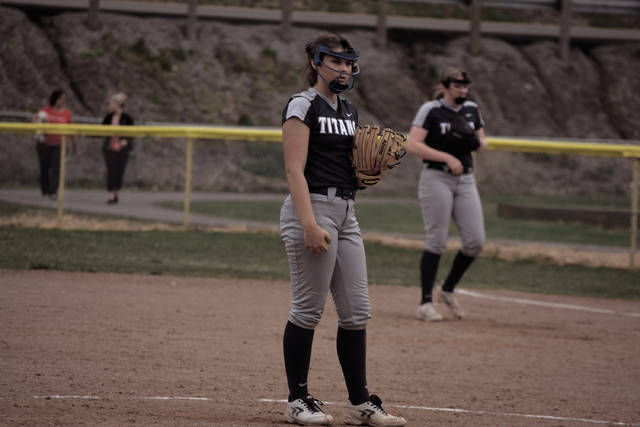 Brown, a Shawnee State signee, was the only pitcher for the roster that the Lady Indians fielded in 2018, which ultimately made an outstanding run to the Division IV, Region 15 Semifinals before falling by a 2-1 tally to Danville. The senior, who also starred as a cleanup hitter for the Lady Indians and was named as the SOC II’s Pitcher of the Year for her efforts, joined her teammate and fellow Shawnee State University signee Margaret Caldwell on the first team. In the postseason, Brown not only put together the walkoff base hit to lead Valley to a 7-6 victory in the Division IV, Rio Grande II District Semifinals, but threw a complete game five-hitter against Danville in the Division IV, Region 15 Finals and went 2-for-3 at the plate in her final high school contest with Valley, which allowed Brown to finish with a batting average above .450 as the team’s No. 4 hitter in the lineup. Schaefer, who will be of junior eligibility in 2019, emerged from a rock-solid control pitching arm into arguably one of the most improved players regardless of sport as the multi-sport athlete collected a home run in three consecutive games and went 4-for-5 with four doubles against Green in the regular season. 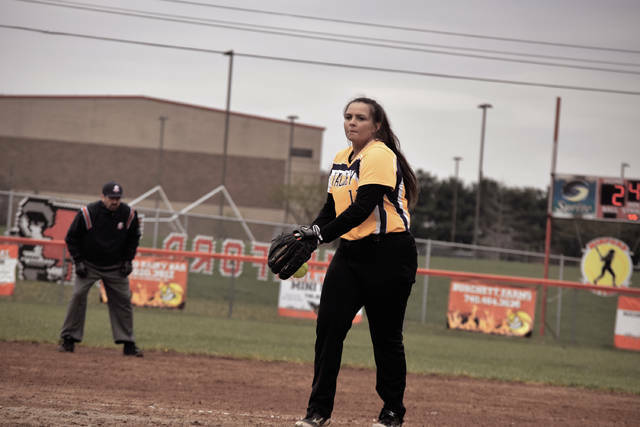 In the postseason, Schaefer took her game up a notch by throwing a perfect game against Green in the Division IV Sectional Finals and by throwing a one-hitter in a 6-0 win over Racine Southern in the Division IV, Rio Grande II District Semifinals. Swain, who played the best softball of her career both at the plate and in the circle in the second half of the 2018 season, joined the aforementioned Vassar and Oliver on the first team list behind an outstanding season where Swain ultimately collected a 13-2 overall record with 148 strikeouts and a 1.38 ERA. In the postseason, Swain, who threw a no-hitter against Green on April 25 — which just happened to be Senior Night for Swain, the lone senior on the Clay roster — turned her play up another notch. That was no more evident than against Strasburg-Franklin, where Swain pitched 12 innings in relief and gave up just one earned run. In the process, the Shawnee State signee collected the game-tying base hit to score fellow teammate Jensen Warnock in the sixth inning, which allowed Clay to ultimately take the contest to eight extra frames.